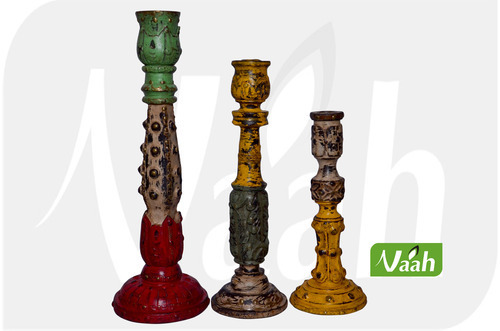 Exporter of a wide range of products which include vaah decorative wooden candle stand, vaah wooden candle holder with brass decoration, vaah antique wooden candle holder, vaah colored wooden candle stands, vaah wooden candle stands and vaah wooden candle stands with metal work. 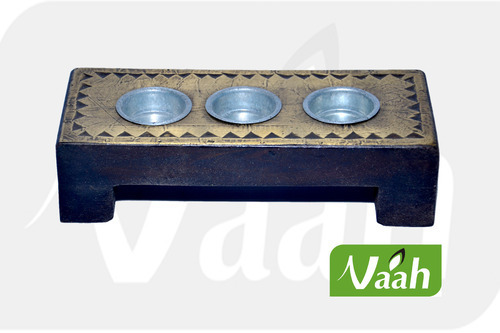 We are instrumental in offering Decorative Wooden Candle Holder to our valuable customers. 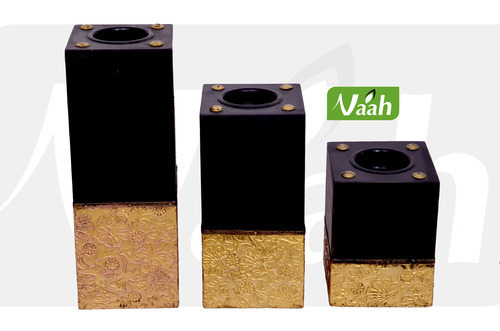 These candle holders offered by us are manufactured from high quality wood that is sourced from authorized vendors. The trendy design and mesmerizing appearance, makes these wooden candle holders highly demanded in the market. Due to our rich experience in this domain, we have been able to offer high quality Wooden Candle Holder to our valuable customers. The candle holders offered by us are highly appreciated among our customers for their appealing design, lightweight and perfect finish. Being a quality conscious organization, the premium quality of the offered holders is maintained through various quality assurance checks conducted by our team of quality controllers. 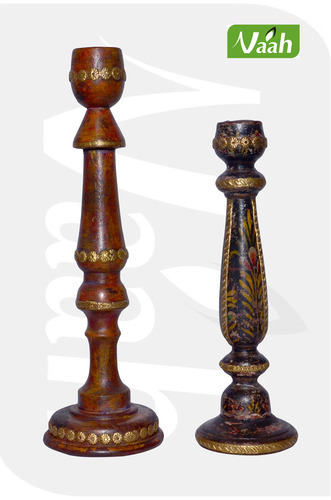 We are instrumental in offering Antique Wooden Candle Holder to our valuable customers. These candle holders offered by us are manufactured from high quality wood that is sourced from authorized vendors. The trendy design and mesmerizing appearance, makes these wooden candle holders highly demanded in the market. 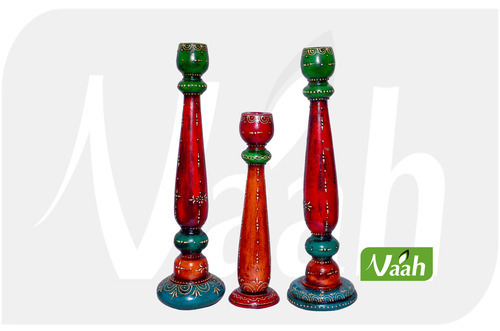 We are instrumental in offering Colored Wooden Candle Holder to our valuable customers. 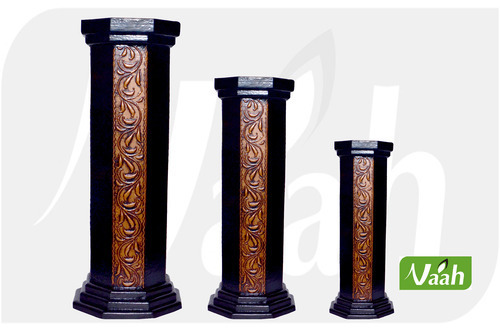 These candle holders offered by us are manufactured from high quality wood that is sourced from authorized vendors. The trendy design and mesmerizing appearance, makes these wooden candle holders highly demanded in the market. We are instrumental in offering Wooden Candle Stands to our valuable customers. 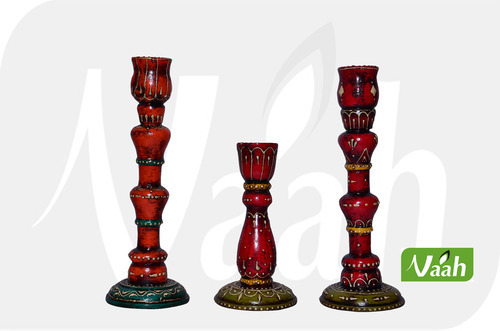 These candle holders offered by us are manufactured from high quality wood that is sourced from authorized vendors. The trendy design and mesmerizing appearance, makes these wooden candle holders highly demanded in the market. 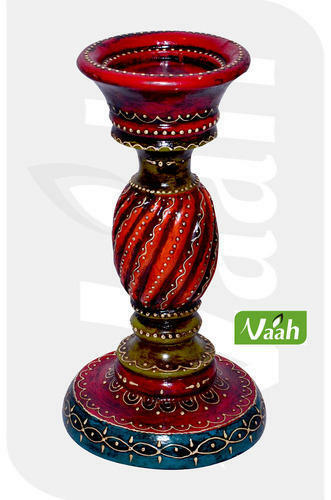 We are instrumental in offering Emboss Painted Wooden Candle Holder to our valuable customers. These candle holders offered by us are manufactured from high quality wood that is sourced from authorized vendors. The trendy design and mesmerizing appearance, makes these wooden candle holders highly demanded in the market. We are instrumental in offering DecorativeWooden T-Lite Candle Holder Stand to our valuable customers. These candle holders offered by us are manufactured from high quality wood that is sourced from authorized vendors. The trendy design and mesmerizing appearance, makes these wooden candle holders highly demanded in the market. Looking for “Wooden Candle Holders”?